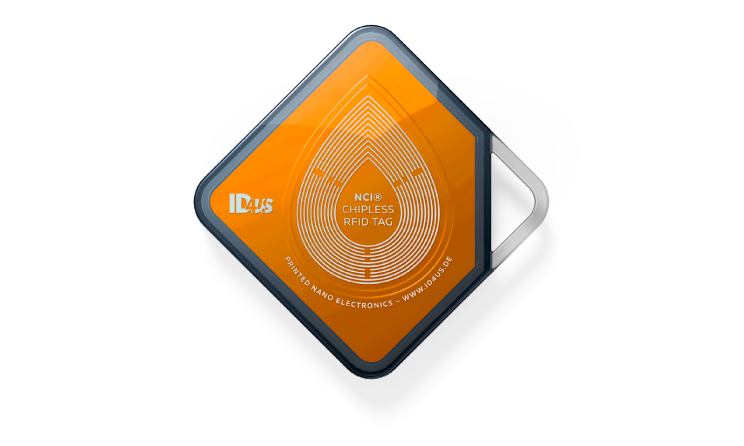 The vision of ID4us is to replace the widespread bar code with Chipless RFID tags by means of novel Digital Signal Processing, Artificial Intelligence and Technological Advances in Printable Nano Electronics. Chipless RFID tags significantly extend the read range and the tag localization accuracy, while reducing the reader’s power consumption and the per-tag-costs down to 1 cent. Moreover, Chipless RFID tags enable full tag flatness and full printability. However, beside such distinct advantages with breakthrough potential in various markets, Chipless Tags impose demanding challenges like maximizing the number of stored and detectable bits as a function of the available tag surface and the required reading range. Solving such challenges depends on the requirement of the specific application. Therefore, please contact us and let’s talk about your favourite application! Some examples are shown here.